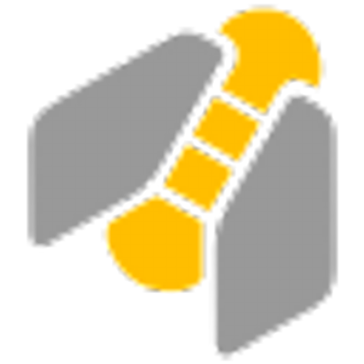 GanttProject is a free open-source project management application with Gantt chart, resource load chart, MS Project import/export and more. Function Point alleviates the chaotic nature of operating creative agencies, internal marketing teams and professional service firms. Used by over 9000 customers across the world, the all-in-one solution helps teams connect each stage of project management. Our goal is to make productivity more personable; to warm it up and give it a heartbeat. ONEPOINT Projects is the leading provider of web-based project and portfolio management solutions for modern project organizations. Unlike traditional PPM software, ONEPOINT Projects integrates formal, agile and JIRA projects into a single project portfolio and resource utilization database. ONEPOINT enables project-oriented organizations to increase project and portfolio transparency, shorten project lead times, better implement best practices and optimize resource utilization. By building on open standards and technologies, providing both cloud-based/SaaS and on-premise installations and with its strategic focus on making PM systems easy to deploy, ONEPOINT redefines ROI for project management solutions. Clubhouse is the first project management platform for software development that brings everyone on every team together to build better products. It's designed to create healthier and efficient collaboration across organizations so teams can focus on what matters – creating products their customers love. Clubhouse features a web app, iOS app, simple API and a robust set of integrations. Gain Complete Control Over Your Work and Make Real Work Happen. ActiveCollab is the project management software that gives you complete control over your work. Use tasks to organize work. Break down your entire work into tasks your team can tackle right away. Deadlines will never surprise you again. Actual priorities are given priority, and everyone is accountable for their work. Make your team accountable and always on track. Your team is in charge of tasks assigned to them, and subscribers are instantly notified of any changes made. With start and due dates, reminders, and priorities on every task, you will always be aware of how much time you have to complete your work. Deliver exceptional client service. A single place for collaboration will reduce the noise created by scattered communication, save precious time, and make your client work a lot easier. Create cost estimates, track budgets, get paid. Manage your projects, track time and issue invoices in ActiveCollab. Cost estimates, invoicing, and budget tracking guarantees control over your budget and expenses. Time tracking & expense tracking. Time is money. 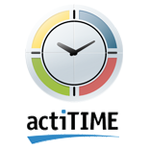 Employ ActiveCollab's time tracking app to measure how much time is spent on tasks. Combined with expense tracking, this allows you to pinpoint where your finances and time are being invested, and where they are being wasted. Make your time work for you. Set hourly rates for job types and track time on multiple tasks at once. You will be able to make better estimates and manage your time and work better. In short, ActiveCollab incorporates project management, time tracking, and invoicing into a comprehensive Project Management Software. Organize your entire work in one single tool, track time on each task, and create and issue invoices so you can get paid. ActiveCollab is the difference between an investment and an expense. WorkBook, from Deltek, is a software suite for project and resource, CRM, collaboration and file sharing, forecasting & accounting. The software provides a fully integrated solution with custom enterprise workflow starting with capabilities including: news stream inbox + built-in workflow notifications, collaboration & conversations, best-in-Class project management organization & project scheduling, resource planning, budgets, accounting & finance insights with mobile-friendly capabilities. In addition, WorkBook provides modules such as: CRM, pipeline, financial forecast, robust reporting tool, tasks & support ticket management with agile methodology, ideal for developers / scrum masters. A fresh user interface to view real-time comprehensive data. The integrated platform provides dimension ROI & cost reduction strategy with enhanced customer success management while producing real-time data insights in PMO in addition to multiple companies, multi-currencies, inter-company resourcing, user-interface in the language of your choice, a software solution with global scalability in mind. The majority of our clients come from Advertising, Digital and PR companies but Architects, Consulting Engineers and Management Consulting companies also enjoy the benefits of WorkBook. Oracle Primavera offers powerful, robust, and easy-to-use cloud and on-premise applications for globally prioritizing, planning, managing, and delivering successful projects, programs, and portfolios. With applications spanning project scheduling, cost and project controls, portfolio management, construction document management, analytics, and risk analysis, Oracle Primavera software suite enables builders, engineers, and project owners in asset-intensive industries to improve outcomes across the project lifecycle. “Resource management and the ability to track contractors across projects is something we couldn't do before Oracle Primavera and has been a differentiator for us.” - Steve Libby, Director Planning and Scheduling - McCarthy. Kanban Tool is a powerful, yet easy to use project management application. Using customizable Kanban boards, your team collaborates in real-time, remains on top of the workload & saves time. It's simple to get started with, but offers multiple optional features, that will make your life easier - Recurring Tasks, Process Automation and Checklist Templates to name but a few. Hosted in cloud or on your company server (10+ users), it delivers everything your team needs and more. It's a perfect solution for companies looking for a hassle-free, affordable platform with a lot of fantastic features to offer. Celoxis' comprehensive features address the real-world complexities of managing projects across organizations and functions; it excels at planning, delegation, collaboration, tracking and reporting with great agility and user-friendliness. Celoxis help users plan and manage real-world, diverse project portfolios. It is highly customizable to suit a variety of business needs. Celoxis has a vast feature set that includes: - Auto and manual scheduling modes that accommodate geographically distributed project teams working in different time zones, time-constrained tasks, part-time resources, unavoidable absences, interim resource swaps, and even one-off exceptions such as teams working weekends to meet deadlines, all in one project schedule - Interactive Gantt that can effortlessly handle more than 10,000 tasks - Cross Project Gantt - Project Portfolio Management - Job-role based costing and billing - Support for multiple billing models - Multiple Dashboards - Powerful Reporting capabilities with a whole range of graphical drill-down charts to visualize project data. - Card View - Resource workload charts, Capacity planning, Resource utilization and real-time workload realization - Multiple custom field types such as currency, dates, pick lists and even formula fields. - Advanced reporting engine that gives you a powerful platform to turn all your project data into actionable insights - Custom Apps that allow you to create and configure the intuitive project and business processes within the project management system making it a single platform for all your tasks and other work items such as bugs, issues, approvals, change requests, etc... - Collaboration on projects, tasks and other work items including documents. - Enhanced data visualization with comparison bars, 100% stacked bars, trend lines, pie charts - Multilingual application - Mobile interface - Out of the box Integrations with MS Project, Salesforce, G-Drive and QBO, and web-based API Latest Release (Version 11.5): With this release, the reporting and dashboards module gets a major overhaul to improve usability and insight-driven analytics. This release includes features and improvements like metric reports, flexible dashboard layouts, ability to resize columns and sticky column headers for long scrolling reports. Workzone is a proven, easy to use project management tool that marketers and creatives have used to get their work done since 2000. Workzone is unique in its balance of sophistication and user-friendliness. Workzone is ideal for teams with a diverse mix of experienced and less-experienced users. More powerful than task tools (like Basecamp) and easier to use than high-end tools (like Microsoft Project), Workzone is the “just right” solution for most real-world business environments. GoodDay is a project, product and work management platform that gives teams different tools for planning, day-to-day work, and continuous improvement of all processes based on transparency, accountability, and recognition. Daylite combines the power of a CRM, sales tracking, and project management app all in one for your team. Collaborate better by streamlining your client communication, project management and sales. Daylite helps teams increase efficiency and convert more leads. Create a better client experience when you have everything organized in one place. ROI Blueprints provides a cloud-based Project & Portfolio Management platform that empowers businesses to develop metrics based project proposals and build executable plans, ultimately helping deliver those projects by providing actionable insights that are data-driven! KanbanFlow is a project managment platform. It provides visualizations of workflow. Users can collaborate in real-time with others on projects. Slickplan is a product of Awmous, LLC, a software development firm focused on creating web-based SaaS solutions for businesses of all sizes. Synergy is business and project management software designed for architects, engineers and construction designers (AEC). 16,000+ built-environment design professionals use Synergy every day to help deliver their projects. Synergy is like a wingman to your business — someone who’s got your back in the business of designing the built environment. It’s pure cloud software that works on any web-enabled device. All you need is an internet connection, web browser and your smart phone, tablet, laptop or desktop computer. No downloads. No installations. No manual updates. No annual fees. No contracts. Synergy solves three key challenges for built environment design professionals: 1. PROJECT ACCOUNTING — including timesheets, invoices, budgets, accounting add-ons like Xero and QuickBooks Online, rates and costs, and profitability reporting 2. PROJECT MANAGEMENT — including documents, projects, work breakdown structure, phases, stages and tasks, and WIP reports 3. COLLABORATION — including communication, shared portal, shared documents, document audit trail, and more Take a look around the website and sign up for a 30-day free trial. No credit card required. Control and innovate projects, processes, products, and services with tools to standardize project execution processes and reduce administrative burden. Smarter Roadmap Prioritization. airfocus is a software solution for teams that enables you to prioritize your projects and features with an advanced but easy-to-use scoring system. Drag'n drop beautiful & presentation-ready roadmaps in minutes. Get everyone aligned and the right stuff done. airfocus integrates with your existing workflows and tools like Jira, Trello and Asana to get you started in minutes. Start your free 14 day trial on airfocus.io. iMeetCentral makes it possible for people to work together in ways they never thought possible. Share files, centralize communication, manage projects, review and mark up creative assets, and streamline processes all in the cloud. Key features include file-sharing and collaboration with internal and external team members, project and task management, workflows and databases for process automation, integration with third-party applications and social capabilities for conducting discussions and working together on files and projects. Today's project management organization (PMO) struggles with time, cost, and resource management challenges, particularly visibility and data consolidation within the enterprise portfolio. Given these daily challenges, it is difficult for executives to see which projects and operational activities they should be working on to find out how much is left in their budget, to what capacity are resources being utilized, and how to align activities with business demands. HP's innovative Project and Portfolio Management (PPM) solution helps executives, project managers, resource managers and others to overcome these challenges by providing critical information in real-time to help them make the right investment decisions by standardizing, managing, and capturing the execution of project and operational activities and resources. Favro is a new and easy all-in-one planning and collaboration app. Get developers, marketers and executives on the same page, and start achieving your goals faster today. Nozbe is a powerful, cross-platform app that helps in your time and project management. Thanks to Nozbe you will: - Organize and delegate tasks in projects, - communicate through tasks with your team, clients, and partners, - work offline & keep all your projects in sync, - manage processes with templates, - connect with other services (Dropbox, Box, Evernote, Google Calendar and more), - effortlessly manage your time. Simply Get Everything Done! Trusted by teams in over 100 countries, ProjectManager.com is a full-featured project planning software that is fully integrated with Google Apps, Microsoft Word, Excel and Project. From planning to scheduling and assigning tasks, tracking progress and reporting, ProjectManager.com provides a full suite of tools for you to meet your project goals and manage your team. ProjectManager.com has free file storage, client logins, unlimited projects and includes everything you need to manage your projects, available anytime, anywhere you need it. Kanzen is a Kanban project management tool for businesses and individuals. inMotionNow solves project management, creative brief, review and approval, and reporting challenges for marketing and creative teams with its work management application, inMotion. With inMotion, teams can automate administrative tasks that typically distract content creators from getting their content to market faster. inMotion gives marketing and creative teams what they need to ease the launch of new projects, solve visibility and accountability issues during project execution, speed the approval of new content, and surface actionable insights. Daptiv PPM is a project portfolio management (PPM) tool designed and built for real organizations and people. Its robust out-of-the-box PPM functionality fits the needs of your organization today and tomorrow. Daptiv PPM makes it easier for organizations to plan the right initiatives, execute with the right resources and management tools, and deliver projects on time and on budget. RoboHead is a marketing project management solution that was created to help marketing and creative organizations better manage their projects, teams, and deliverables. KeyedIn offers Professional Services Automation and Project & Portfolio Management solutions that automate the workflow of project management and services delivery teams, giving them new levels of efficiency, productivity, and visibility. KeyedIn is used by tens of thousands of knowledge workers around the globe across dozens of industries. The software is designed for leaders in any organization tasked with selecting high-value projects, managing finite resources efficiently, and delivering projects on time and on budget. Projecturf is a real-time collaboration workspace and project management tool that allows teams to discuss, work, and manage projects together. Be a more productive team, get more done, and collaborate more effectively. Companies and Enterprises who use Projecturf see a dramatic increase in productivity! Project Portfolio Office (PPO) helps small consultancies to global organisations achieve greater project success by implementing a simple to use, cloud based yet enterprise scalable project portfolio management application. With no long term contract, pre-configured solutions, free online trial & learning videos you can be running your projects within 30 days. Gantt Charts made easy. Manage your schedules, tasks, timelines, and workload like a Pro. Instagantt is a powerful and intuitive Gantt chart tool to enable teams to plan, manage and visualize their projects easily. Features: Drag & Drop Setting dates, changing lengths, or creating dependencies, everything works with a simple drag & drop Powerful Scheduling Milestones, dependencies, start & due dates will let you build your perfect timeline Tasks & Subtasks Instagantt has full-featured and native support for sections, tasks and subtasks. They are all shown in a tree structure to easily organize and plan your work Track Progress Set, change and measure progress (%) for each task on your project Workload Management It has never been easier to balance your team's workload. This view is designed to easily detect critical periods of time where your teammates are overloaded. Each member has his own row, with all their tasks displayed horizontally on the chart. Change Tracking: Baselines Baselines are the best way to track schedule changes and delays. You can create as many baselines as you want (chart captures), and load them on top of your chart at any time in the future. Ravetree is a work management software platform that empowers teams to deliver work faster, be more informed, and spend less time searching for information. Project-driven organizations around the world use Ravetree to manage their projects, resources, and client information—all in one place. Companies love Ravetree’s elegant and clean user interface, which makes it easy to communicate and collaborate with colleagues and clients. Ravetree eliminates the pain of moving between different applications, relying on cumbersome spreadsheets, and entering the same data in multiple places. Other tools are geared towards either project managers or team members, but not both. Ravetree has solved this problem by providing the powerful features needed by project managers, while offering the usability and intuitiveness needed by team members who just want to get work done. Ultimately, companies benefit from having a single source of truth from which they can optimize their operations and easily see the big picture. Ravetree has a 5-star customer support rating, and takes pride in being a customer focused company. Training, setup, and customer support are 100% free. Schedule a demo today to find out why companies are moving from the other platforms to Ravetree. Unlike traditional tools, Rukovoditel expands the approach to project management, allowing you to create your own application, the most suitable for your activity. Rukovoditel is divided into the Standard Part and the Extension. In Standard Part you will find tools for designing and configuring your application. Extension includes reports and tools for more effectively data management.